If you have been involved in internet marketing or promoting your site for any length of time, then you know how important search engine optimization (SEO) is. Perhaps you have even done a few things to get links back to your site to help boost your search results. However, what a lot of website owners don’t know is that you can get a large boost through proper internal link building. As with anything else, some ways of internal linking are better than others. The funny thing is that doing it wrong can take more work for less return on your efforts. The right way requires you to focus on three main areas: anchor text, site navigation, and in-context linking. We will look at each of those in turn. Anchor text are words that are hyperlinked. When it comes to internal link building, anchor text refers to links to different pages within the same website, or links to different places on the same page. The biggest mistake people tend to make is that they use just any old words for their anchor text. One of the most common is “Click Here”. Yes, you may want people to click there, but unless you are trying to rank for the phrase “click here” in the search engine, you are wasting your links. Instead, use keywords in your anchor text like this: “get deals on floor lamps here”, or “floor lamps”. This sends the signal to the search engines that you consider these specific words worth linking from. 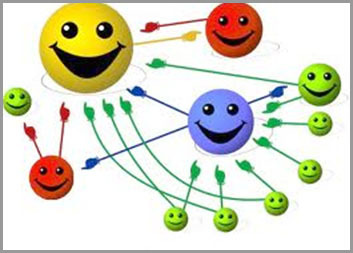 In-context linking is a combination of the above two internal link building methods. These are keyword links that go to different parts of your site. While anchor text could be found in a menu or list, in-context linking is part of the main content on your site. It can have elements of site navigation, especially when the links help visitors move about the site in a logical way. There are many other things that can be done, but if you do these, you will be far ahead of all of your competition that doesn’t take the time to do these basic things. The main thing to remember is that all of the words and links on your website matter; what words you choose to link and where those links go to. If you do it right, you will get a natural SEO boost, and that’s always a good thing. Doing all of this can be a very time consuming task. At Exposure By Design our team can help you to reconstruct your website to include all of this internal link building. We can even under take campaigns to build external back links to boost your Search Results.